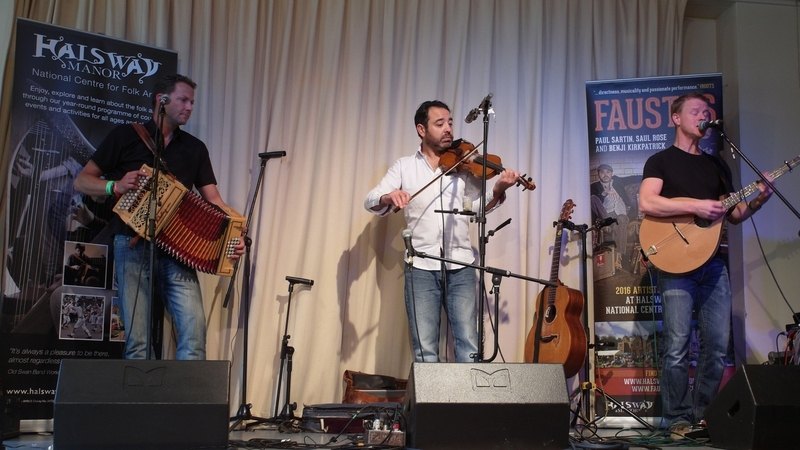 Halsway Manor took a trip to Bury last week to present a Halsway Manor Showcase as part of the prestigious international folk music industry event English Folk Expo. The showcase took place on Friday 14 October at Ramsbottom Civic Hall, to an invited audience of over 150 delegates from across the UK and beyond – Flanders, Belgium, Poland, USA, Portugal, Australia, Isle of Man, Denmark, Canada, Germany, Estonia, China, Hungary, Malaysia, and France. English Folk Expo is an annual showcase aimed at making a positive difference to the worldwide distribution of the live performance, profile and careers of artists from the English folk, roots and acoustic genres by inspiring music promoters and programmers from the UK and abroad to include this music in their events and at their venues.